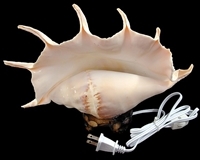 Includes UL approved Light Fixture, 6' Power Cord and 4W Light Bulb. 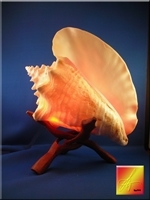 This beautiful Display Lamp is the perfect addition to any Beach Themed Room. 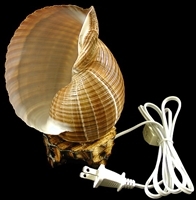 This beautiful Rustic Display Lamp is the perfect addition to any Beach Themed Room and Shabby Chic Accents. 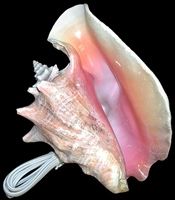 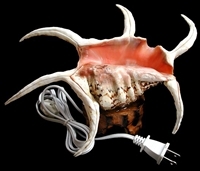 Made from a large Genuine Pink Conch Shell. 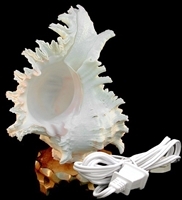 The fold-able solid wood stand will add a nice Nautical Touch. 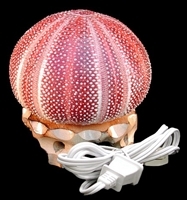 Made from a large Genuine Red Sea Urchin Shell. 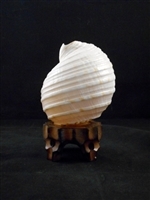 The attractive burnt wood base will add a nice Nautical Touch.